The fourth quarter of 2007 saw the end of Beijing and Shanghai’s housing boom. As transaction volumes plummeted by as much as 25 and 40 percent from July to August 2008 and by 67 and 70 percent year on year in Beijing and Shanghai respectively, developers’ are having to offer buyers’ massive discounts to boost sales of new units. 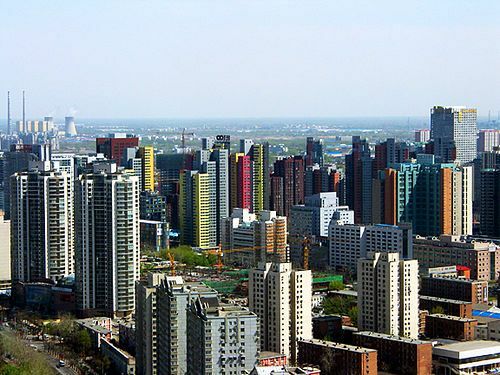 According to CCTV, last month’s (August), average daily turnover in Beijing was a meagre 150 units which in Beijing standards is a new all time low. Secondhand properties are also not doing well with a year-on-year decline of 10-15 percent in August, sellers have having to make price cuts by as much as 5 percent. The situation at the moment is that it is a buyers’ market in housing in 1st tier Chinese cities with more and more potential buyers waiting to see if there would be further price drops to pick up properties at bargain prices. In Shanghai’s commercial sector, things appear to be on the reverse as it is according to the FT experiencing a massive boom. The commercial property boom in Shanghai according to a Cushman Wakefield executive can be compared to London’s ‘Big Bang’ years of the 1980s, when financial liberalisation helped double the size of London’s financial district in a decade. Commercial property pundits expect Shanghai to have developed its CBD [central business district] in a record 30 years, when cities like Tokyo, London and New York took 100 years. Shanghai hasn’t really done too badly – in 1990 total office space in Shanghai was 1.5m, it has in 18 years grown to a phenomenal 13 million square metres and is expected to grow to as much as 17 million square metres in 2010. This in comparison to Hong Kong’s 30 million square metres and New York’s 45 million square metres of office space is not far-fetched. With genuine rental demand underpinning the dynamics of Shanghai’s commercial property boom it is poised to be an international financial and commercial hub. So how can foriegn investors join the Chinese commercial property party? Our recommendation would be to invest in Chinese real estate investment trusts REITs, which at the moment is Indecisively open to foriegn investors.